The My Passport™ Ultra drive is trusted, portable storage in a design that brilliantly pairs metal and matte finishes to create a sophisticated style. With plenty of space to store all the content you love, WD Backup™ software and password protection help keep all your memories safe and secure. Easy to use, just plug it in to start saving and backing up. 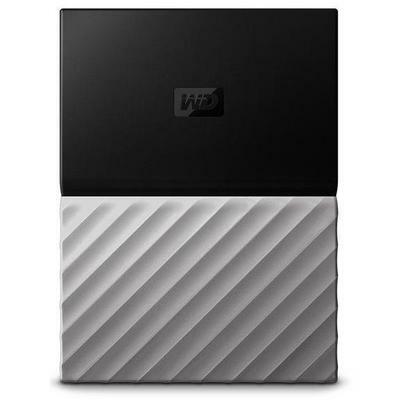 The My Passport™ Ultra drive fuses metallic and matte finishes to create a sophisticated style. This brilliant design fits comfortably in the palm of your hand, pocket or purse so you can easily carry the content you love anywhere you go. Included WD Discovery™ software connects to popular social media and cloud storage services, like Facebook, Instagram, Dropbox and Google Drive™. Import your photos, videos and docs to the My Passport Ultra drive to help preserve your online life. The My Passport Ultra drive comes equipped with WD Backup™ software to help make sure your photos, videos, music and docs don’t get lost. Set it to your schedule. Pick the time and frequency to auto back up files from your system onto the drive. 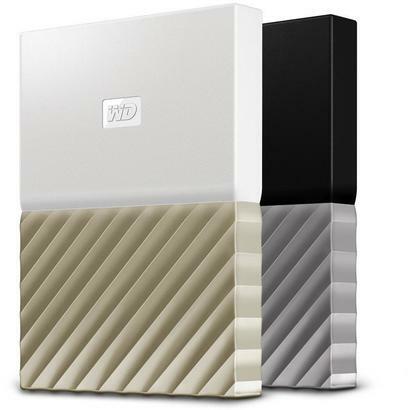 The My Passport Ultra drive comes with 256-bit AES Hardware Encryption with WD Security™ software built in to help keep private content secure. Set a personalized password to activate hardware encryption and data protection. Built with WD reliability, you can trust the My Passport Ultra drive to help preserve your photos, videos and important documents. Backed by a 3-year limited warranty, it's engineered to amaze and designed to complement your on-the-go lifestyle. 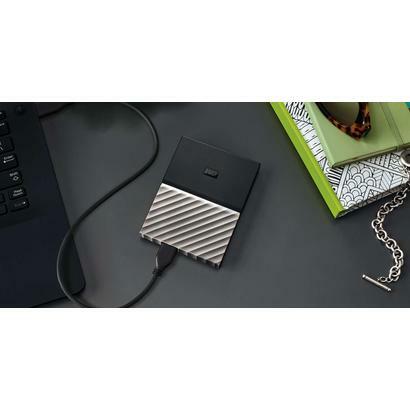 Just plug in the My Passport Ultra drive to start transferring and saving the content you love. Comes with easy-to-set WD Backup software to simplify your on-the-go lifestyle and WD Security software to help protect all your data. Formatted for Windows® 10, Windows 8.1 or Windows 7 operating systems. Requires reformatting for other operating systems.